Please read the following steps to use the VFSLib Java library. This example demonstrates the usage of the Dropbox © provider included in the VFSLib ZIP/TGZ archives. 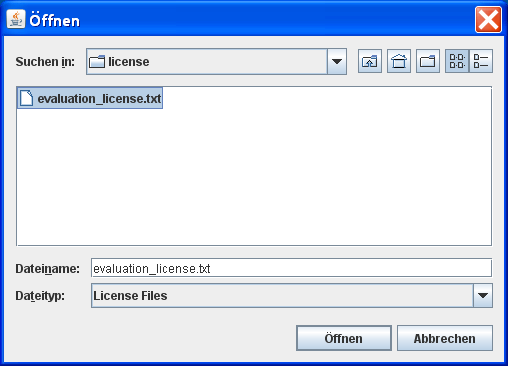 The extlib folder contains the additional libraries needed to run the VFSLib properly. If you plan to use the Dropbox provider you will have to add the Commons libraries, Dropbox/Jackson, and Jaxen/JDOM to the classpath. The lib folder contains the VFSLib libraries including some language packs (English and German at the moment). The English language pack is mandatory and must be included always along with the main VFSLib JAR file. The other language packs are only needed if your application supports these languages. Anyway you will need to run the example in a graphical environment since the classes display dialogs to prompt the user for the parameters necessary for Dropbox.